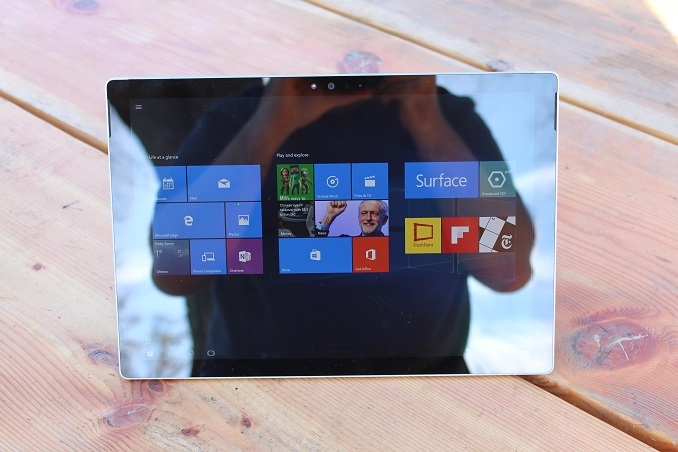 Just the other day, I posted my review of the Microsoft Surface Pro 4. One of the most exciting additions to the convertible tablet from Microsoft was the implementation of Windows Hello biometric login with the use of a facial recognition camera system. When the devices were handed out, we were told that Windows Hello would not be enabled on the review units but that it would be coming before the devices go on sale. Well, Microsoft has snuck in under the wire. A firmware update came out this weekend which has enabled Windows Hello on both the Surface Pro 4 and Surface Book. I won’t get into a lot of detail into what Windows Hello is. For that, please refer to the Windows 10 review where I go into that in detail. The basics is that Windows Hello is part of an authentication system in Windows 10 where biometrics can be used to supplement traditional passwords. At the moment, it supports Iris scanners, facial recognition, and fingerprint readers. Microsoft has gone with facial recognition with their latest Surface products. 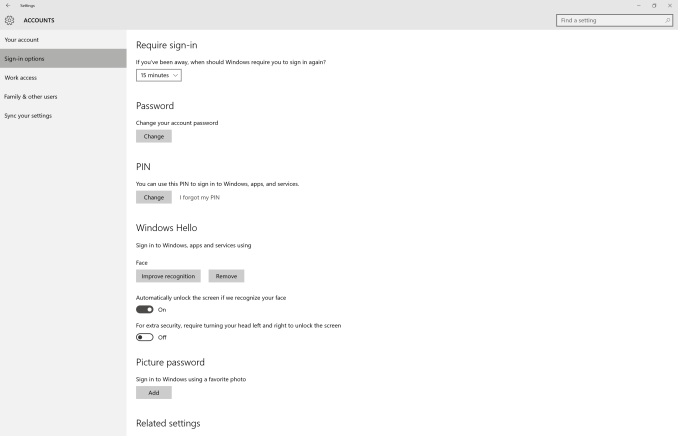 I’ve used Windows Hello before with the Intel RealSense 3D camera, and the login process is very easy to set up. You just got into settings, choose Accounts, and then Sign-in options. You have to have a password set already, as well as a PIN. If you don’t have both of those set up, create those, and then you can set up Windows Hello. It will pop up a window and ask you to look into the camera and keep your head centered in the display, and that’s it. You can run through the setup a few more times as well to improve recognition if you’d like, and Microsoft recommends that if you wear glasses, perform the setup with your glasses on and off. My experience with the Intel solution was that it was a very quick way to login, with the facial recognition being not only fast, but accurate as well. The Austrailian even tested the system with identical twins, and not once were they able to get a twin to login to their sibling’s setup. My only real concern was that the Microsoft system may not be as quick as what I have used previously with the Intel camera system, but that is not the case. The actual time to login to the desktop is much longer than the recognition, which is incredibly fast. I’ve said it before, and I’ll say it again here now. Windows Hello is one of those Wow moments in computing which are few and far between. It really feels like the future. If you have pre-ordered either the Surface Pro 4, or the Surface Book, be sure to check for updates after unboxing to get the firmware update and enable this feature. Once you have it, it will be hard to live without. Wasn't a special part of the site for these kind of articles, Advertisements or something? banventor, please don't speak from a position of ignorance. Having been largely indifferent to the Windows Hello feature right up until the time I enabled it on my own device, 'wow moment' is EXACTLY the correct phrase to describe what happened. And what keeps happening.